With how many flavors and textures it can take on, it’s hard not to love rice. Here are ten recipes that showcase its tastiness and versatility. 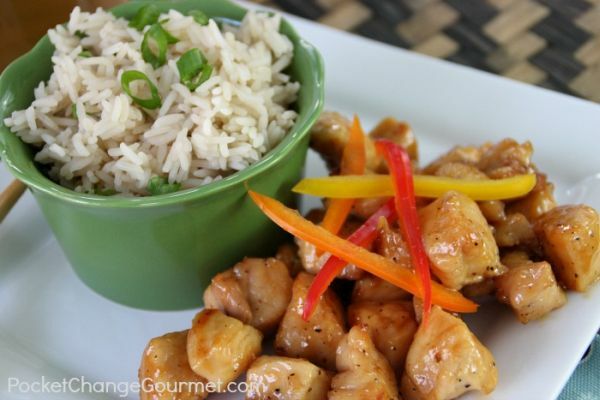 Plain rice can be boring – there’s no disputing that. But who says you have to eat plain rice as a side dish instead of using the staple grain as the base of something more satisfying? Rice has such a neutral flavor that it works well in a variety of recipes, from flavored rice like lemon or coconut to more composed dishes like wild rice salad and healthy rice pudding. 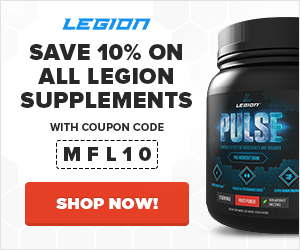 It also has plenty of nutritional value, it’s a great source of carbs, and it has a little protein as well. And if you go for brown rice, you’ll also get four times the fiber found in white rice. 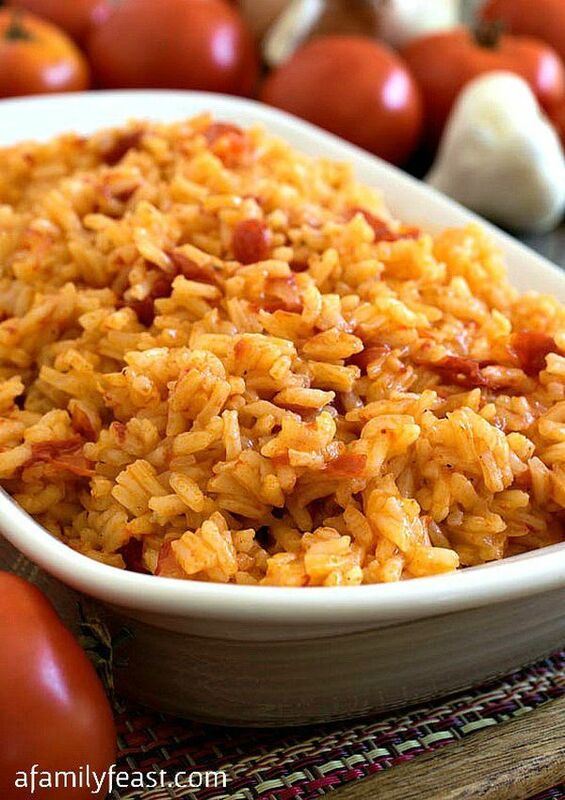 Whether you want to make rice as the main meal, serve it as alongside something heartier, or have it for dessert, you’ll find an awesome new way to prepare rice on this list. 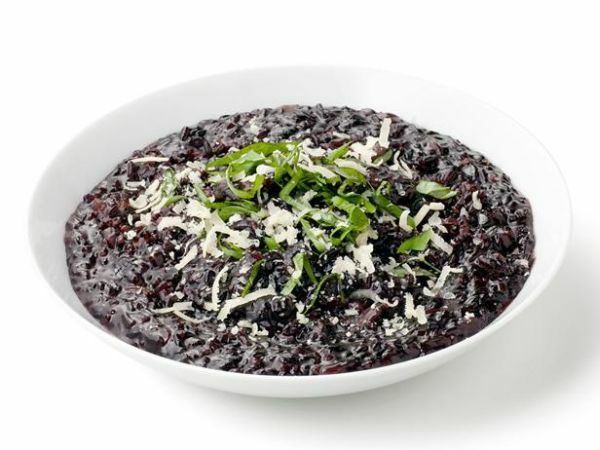 Not just any rice can be used to make risotto, but because of its naturally high starch content, black rice works as a replacement for the classic Italian Arborio. It also has more protein than white and brown rice, plus antioxidants to boot. 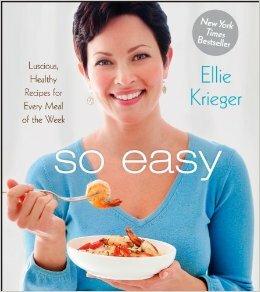 Get more of Ellie Krieger’s recipes in So Easy: Luscious, Healthy Recipes for Every Meal of the Week. Next time you have leftover guacamole, or when you have to make a big batch of the popular party dip, don’t forget this simple casserole as a way to use it up. This cheap dinner takes no work to put together – dump it all in a pan, and stir – but it’s also got that comfort food cachet that makes the final result taste amazing. This is one easy meal you’ll want to make again and again. A simple way to infuse rice with flavor is to make it with a liquid other than water. You’ve surely used vegetable or chicken broth, it probably never occurred to you to try a light green tea. You can also use other teas to flavor your rice – get creative with herbal varieties like lemongrass, yerba mate, or spiced orange. The best part? Tons of flavor with zero added calories. If you’re planning a get-together or need to cook for a potluck, consider this big dish of Thai coconut rice. Not only will it be a hit no matter what meat is being served as an entrée, but it’s packed with flavor from coconut milk and spices like turmeric, ginger, and bay leaves. Top with macadamia nuts or cashews, if desired. 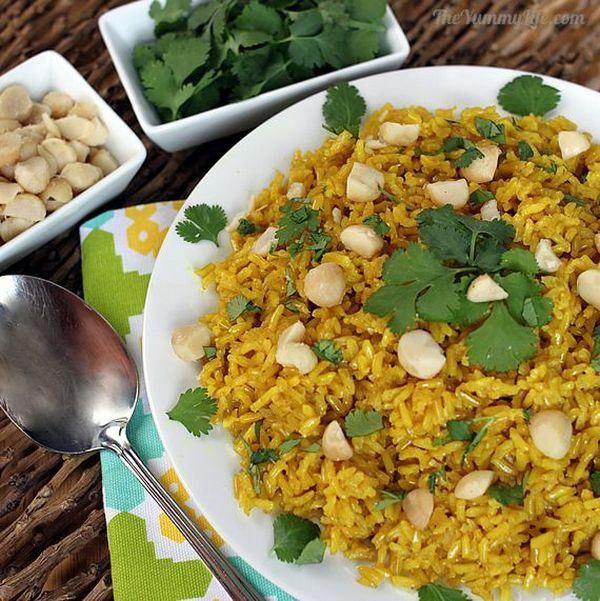 This dish is similar to the Thai coconut rice, except without any coconut, and it has curry leaves and black mustard seeds for more Indian flair. If you don’t have ghee, aka clarified butter, substitute regular butter or any type of oil. 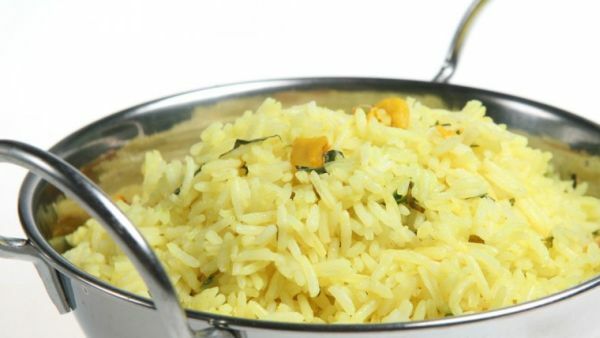 Fresh lemon juice instead of lemon zest lends a lighter flavor that makes for a bright, bold rice. One way to add protein to your carb-heavy side is to mix in yogurt, as in this recipe. 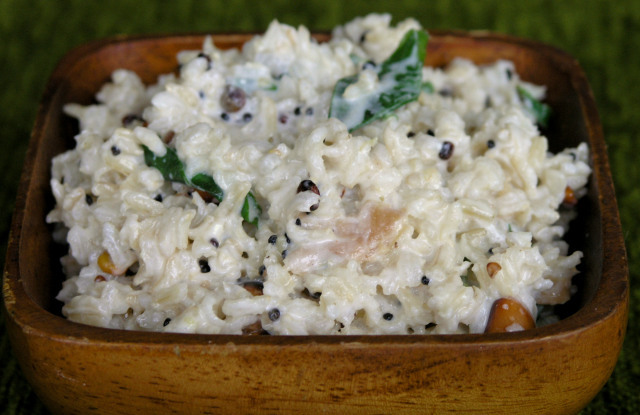 It might sound a little strange at first, but this cool and creamy rice dish is traditional in South India. It’s like a chilled rice salad with lentils, cucumber, and carrots – a tasty side dish if you’re making curry, or a filling vegetarian lunch that’s portable. Forget the Mexican rice that comes in a box – or any rice that comes in a box! This dish only takes a little prep time, and this recipe also gives you an excuse to use bacon fat. If you don’t keep the renderings from the pan when you make bacon, well first of all you should. Second, you can use lard in place of it. Wild rice makes a great side dish for just about any main course. So if you have leftovers at the table, reserve them to use for a delicious salad the next day. 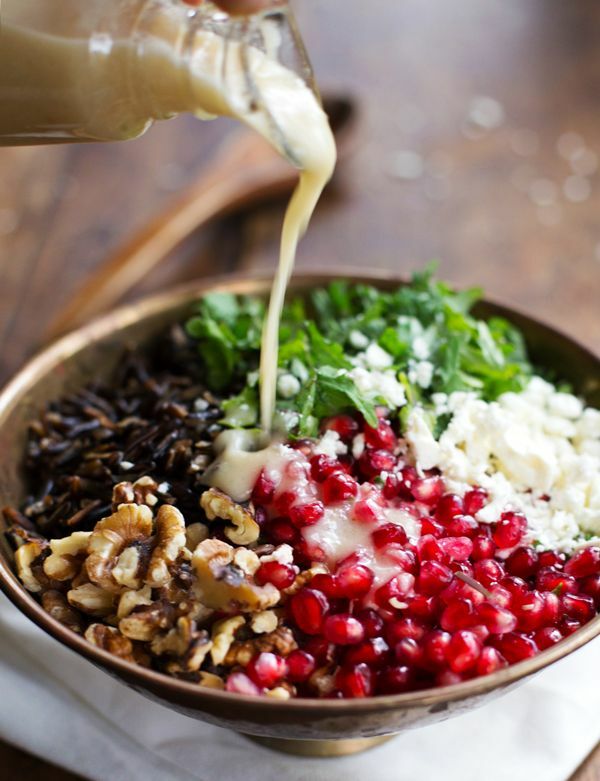 Of course you can make a salad with any greens and dressing you have, but this recipe has everything you’d want with crunchy walnuts, creamy chunks of feta, and juicy pomegranate seeds. It’s finished with an apple cider vinegar dressing. 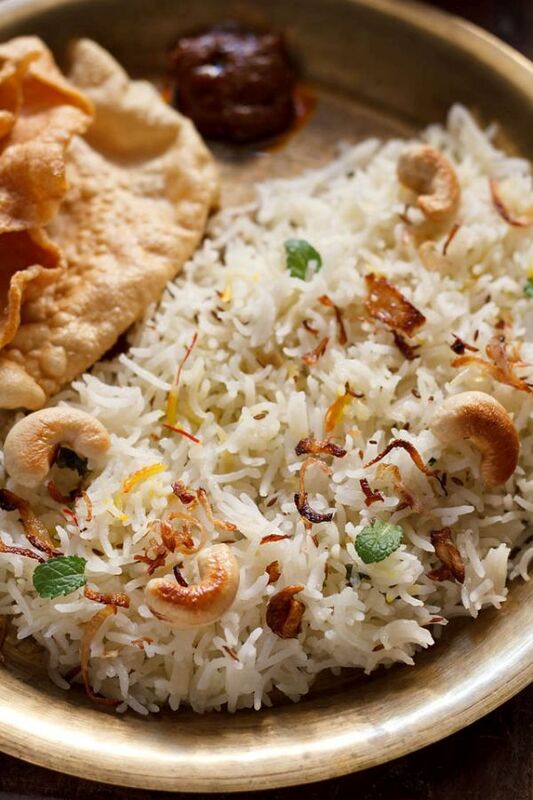 If you’ve gone to an Indian restaurant, chances are somebody at the table ordered biryani rice. And boy, was everybody happy! That’s because it looks like an unassuming bowl of basmati rice, but the flavor is out of this world. It will require a lot of spices to achieve the final result, but once you master this North Indian recipe, you’ll never serve plain rice with curry again. Simply hit up the bulk spice section at Whole Foods or a local grocery store, and you’ll be well on your way to eating Indian food at home. It’s possible to sneak a little protein powder into most creamy desserts, so why not pick one that’s already relatively healthy? 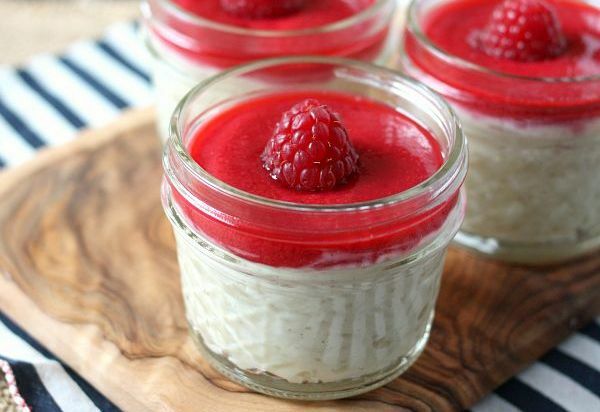 That’s the thinking behind this delicious protein rice pudding. 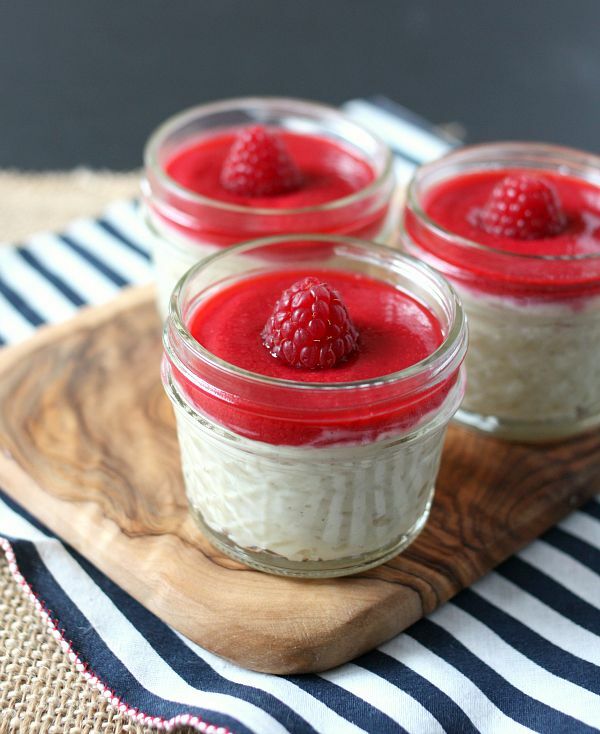 It’s bursting with fresh sweetness from the raspberries. Plus, coconut milk and vanilla bean paste give this dessert a rich, classic note. You could use pure vanilla extract instead, but then the final result will be missing a little something – and not just the black flecks of vanilla bean. 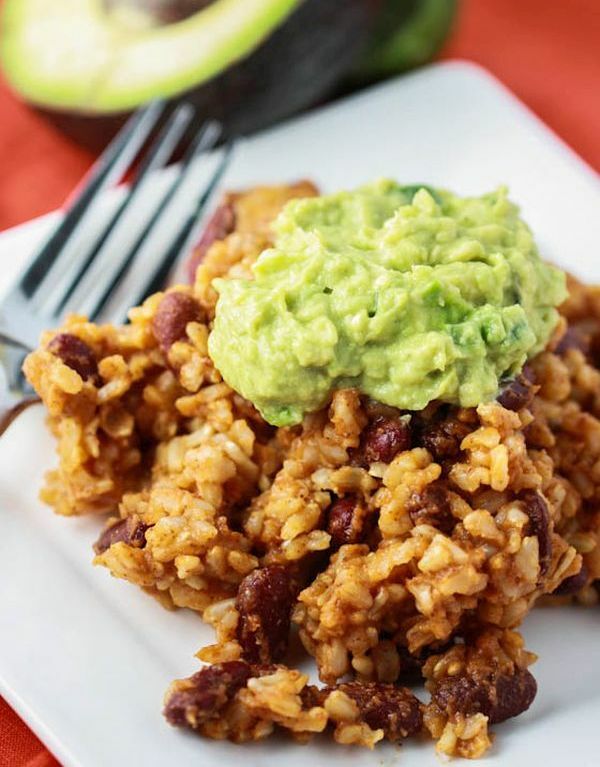 What did you think of these healthy rice recipes? Have anything else to share? Let me know in the comments below!